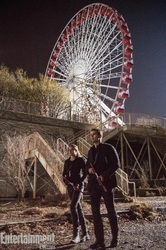 Pictures from the Divergent Movie! 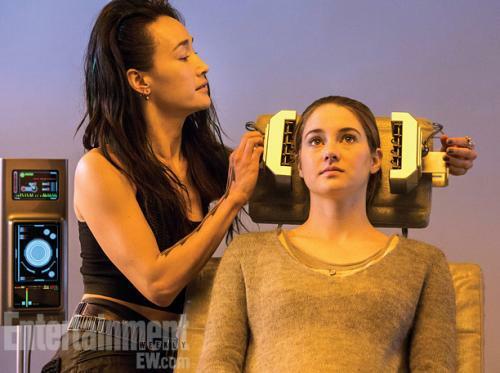 Pictures from the Divergent movie are starting to be released one by one. This page will be used as a database of photos taken of the actual movie. So far the photos have been of Beatrice Prior / Tris. These photos will give away the book, so don't look if you haven't read it yet. The film photos that were given so far include the knife throwing scene and the part of the movie where Tris is about to jump off of the side of the building right after she chooses Dauntless as her faction. 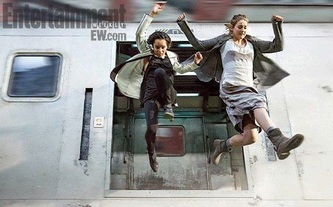 In the photo to the left, Shailene Woodley as Beatrice Prior stands on the edge of a roof as a part of her Dauntless intiation. In this scene, Max tells the transfer initiates that they must jump off of the side of a building and will not reveal any additional details. Tris has just been insulted by Peter for "showing some skin" after she checks her wounds from jumping off of a moving train. She is boiling with anger and her pride gets the best of her. This causes her to volunteer as the first jumper. She takes off her outer layer and throws it at Peter in anger. Standing on the ledge, she looks down. There are four connected buildings and looking down in the middle of them all she can see is darkness. She takes the leap and is whipped around until she lands in a net. The Dauntless faction cheers for her as she is the first jumper. 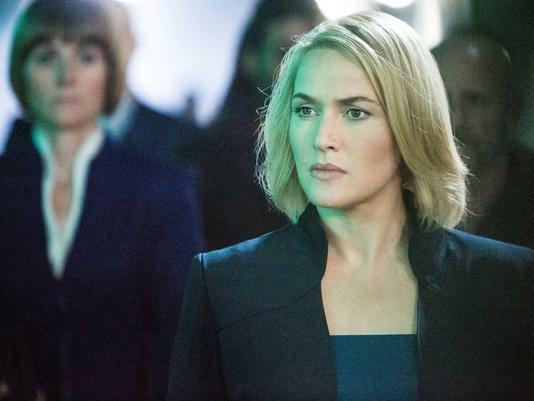 This scene is important as it gives Beatrice / Tris some notoriety in the Dauntless group. It helps to give her the confidence that she needs to push forward during training. 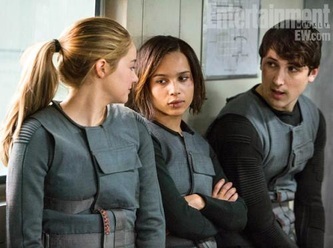 Once she lands, she meets Four for the first time as everyone else is shocked that an Abnegation member was the first jumper. Four encourages her to choose her name carefully. 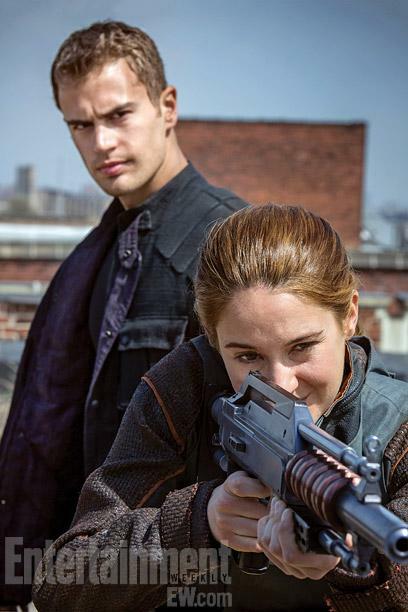 She is known as "Tris" from then on. 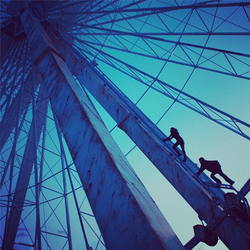 "Welcome to Dauntless," Four tells her. You can read this section of the book in Chapter 6 of Divergent. This photo from the Divergent movie reveals the point where Four throws a knife at Tris during the Dauntless training. 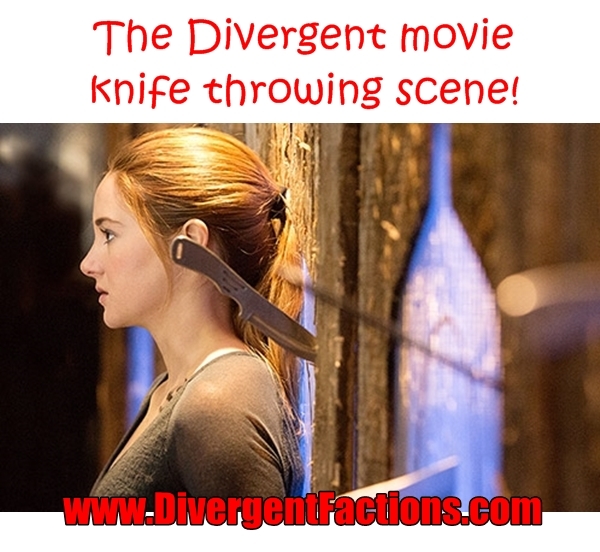 Did you know that there is a book that tells the knife-throwing scene from Four's point of view? It's called Free Four and it's written by Veronica Roth who wrote the Divergent series. 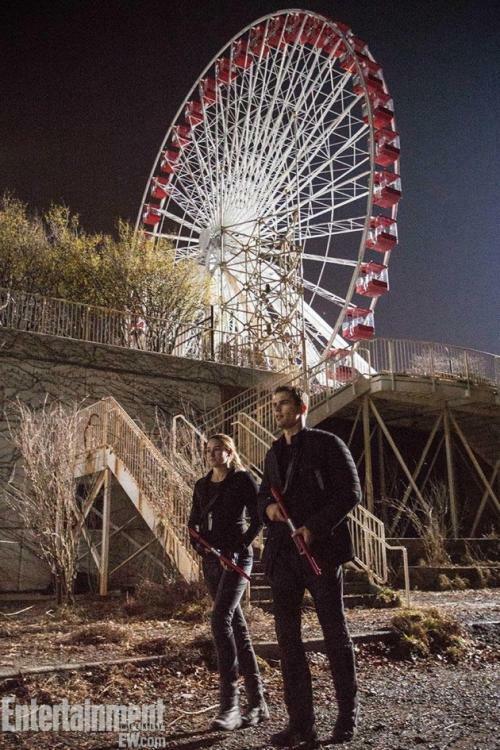 Theo James as Tobias Eaton from Veronica Roth's blog. 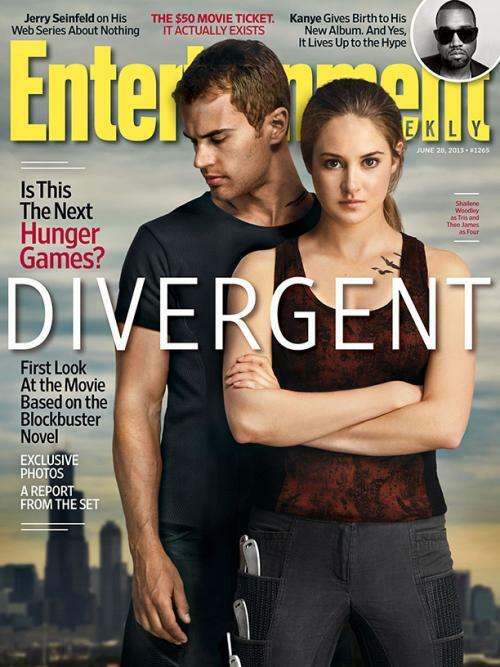 This picture from Entertainment weekly is taken from the actual Divergent movie. 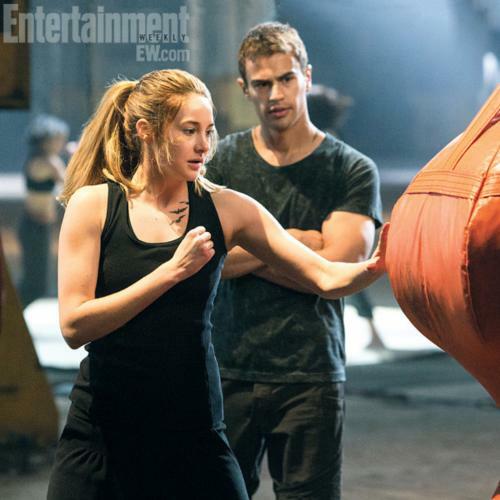 It features Theo James who plays Four as he is standing in front of two fighters. Our best guess is that this is a scene where the initiates are training and Eric and Four are having differing opinions of how the fight should end - whether someone can yield to the other fighter (Four's way) or Eric's way of fighting until someone is unconscious or dead. 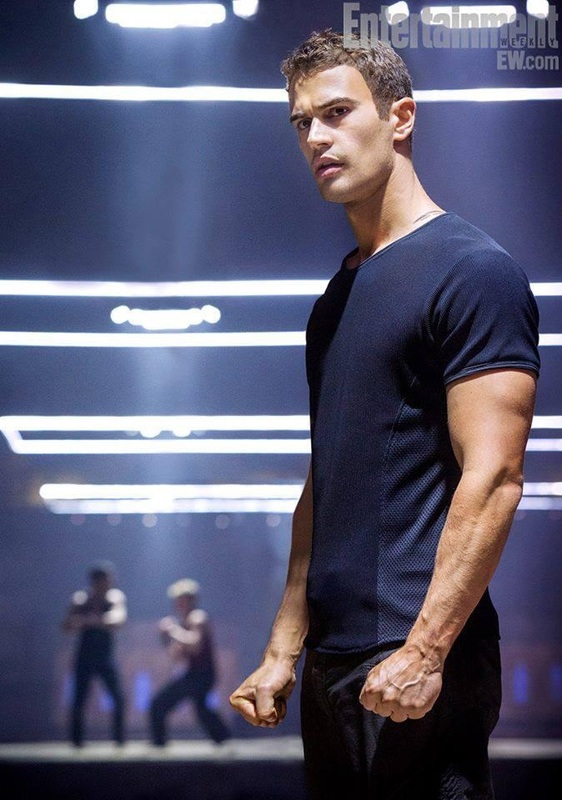 Many were upset when Theo James was chosen to be a part of the Divergent cast with most saying he looked too old for the part. However, many of the other features of Four that Veronica Roth described in her book seem to be present on this actor. What do you think of this photo? 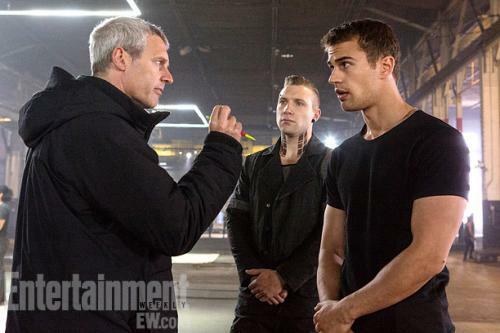 Are you happy that you finally have a real life Four to stare at? 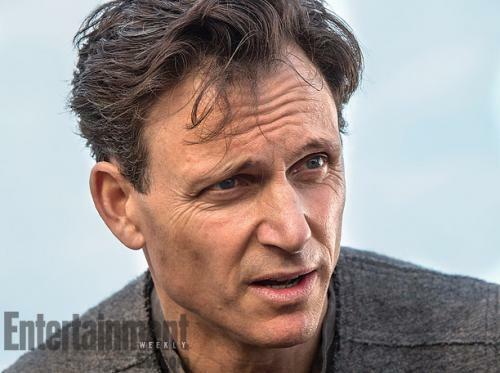 Does this picture just make you want to see the movie even more? Don't forget to follow us on Pinterest, Twitter and Facebook so you can be kept up to date as new photos from the movie are released!